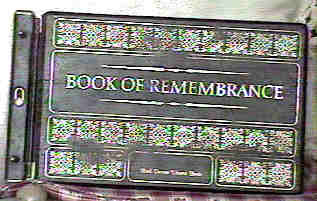 Most of my information is stored in a special binder press called a "Book of Remembrance". In this book I have compiled many records, pictures, names and dates that you see on this site. Pictures of the outer cover and inside pages can be viewed here.